The vivid appeal of abstract art has been reimagined on these incredibly unique wedding reception cards featuring vibrant watercolor elements as well as real foil accents and wording in your choice of three foil colors! These enclosures are printed on double-thick paper for an extra luxurious feel worthy of any art gallery or museum wedding. Personalization Options: Watercolor design is printed as shown. 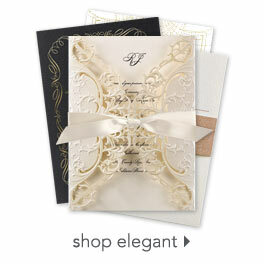 Design accents and wording are printed in your choice of gold, rose gold or silver foil. Your wording is printed in your choice of fonts.